Sally 4th has released Terra-Blocks, their new, pre-painted, versatile, multi-genre, multi-system terrain tiles. This week sees the launch of our new Terra-Blocks™ System. 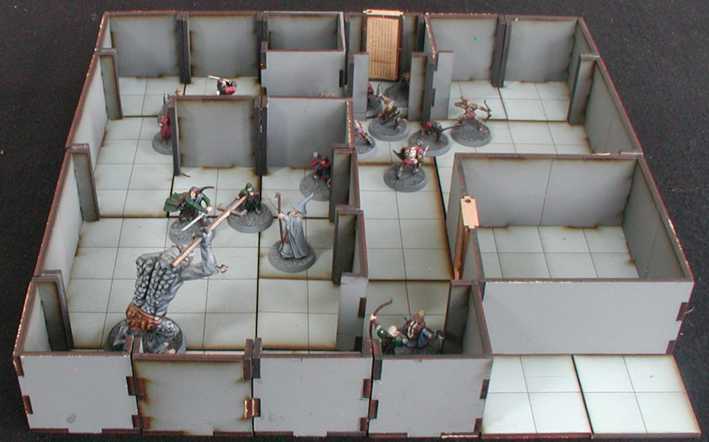 This has been designed to be a generic, multi-genre set of terrain blocks that can be used for a wide range of skirmish style games from modern day urban conflict, 1920's gangsters, pulp adventures, science fiction and fantasy. We have two starter sets at £25 and £45. 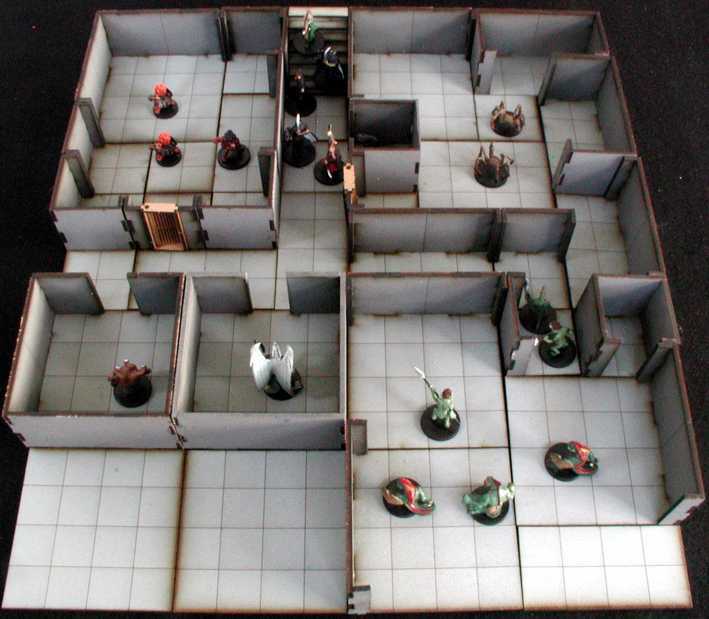 The £25 set covers a 300mm x 300mm gaming area, the £45 set covers a 300mm x 600mm area. Particular pieces are available in a range of 19 packs, with many more packs on the design bench. Terra-Blocks™ are supplied pre-painted, floors slate grey, walls granite grey. 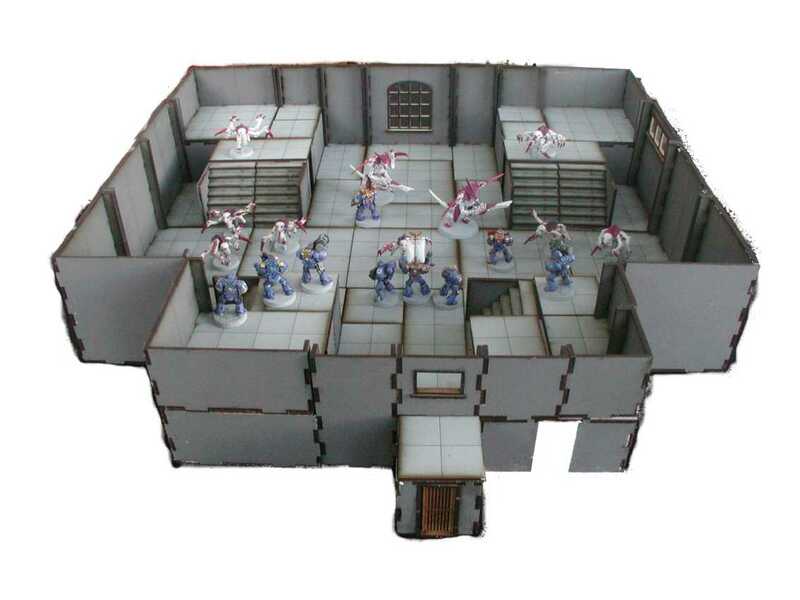 Assembly is very fast, the starter set can be assembled in under 25 minutes. The pieces are made from 3mm Medite and are very robust and stack away into a small area for storage. We have some nice features in the initial release including a staircase and opening doors.